You are here: Home / News / Melissa to perform YES I AM for the first time ever! Melissa to perform YES I AM for the first time ever! 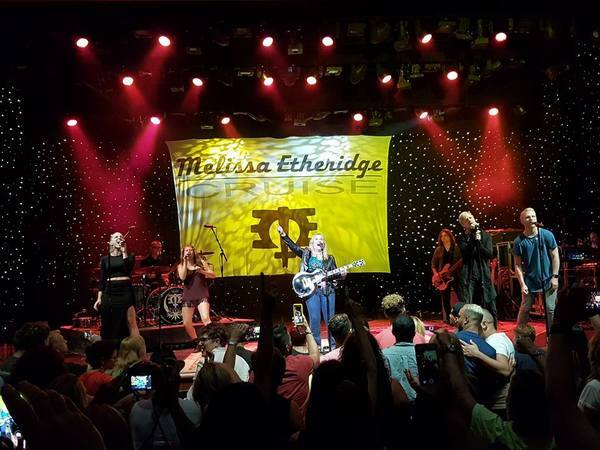 This Melissa Etheridge Tour at sea will bring you all the best performances, opportunities to get up close and personal with musical guests plus the very best dining and service all included in the cost of your stateroom. Your reservation includes: A 7 night cruise aboard the Royal Caribbean Cruise International’s Radiance Class, Serenade of the Seas ® cruise ship, beautiful and comfortable accommodations, all meals, all musical performances including a nightly show in the Main Theater, nightly performances around the ship in other locations, artist hosted events such as autograph sessions, opportunities to get up close and personal with musical guests, workshops, musical artist photo opportunities and more.